At its very core, the everyday carry knife is a simple tool built for regular tasks. However, that simplicity often tends to get lost in modern knife design. You've probably seen a few knives out there billed as suited for EDC yet sporting needlessly busy design with complicated ergonomics. They might look pretty in your hand, or in a display case, but can't help you get the job done when you need it. That's why Ridge leaned the other direction with their practical and minimalist Summit Knife. 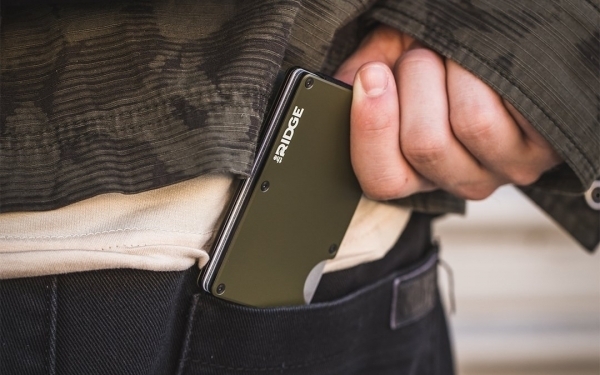 As a new release from the same team behind the ever-popular Ridge minimalist metal wallets, the Summit leverages a smart, no-frills design to give you a premium compact EDC folder that's ready to get to work. The uncomplicated design of the Summit has an understated elegance that makes it unique. At a length of 3.9 inches when closed, the handle gives you enough surface area to get a full grip without being too big for your pockets. Its design also makes it pair well with the Ridge Wallet, a big plus if you already EDC one. And because the handle is made of grade 5 titanium, it's strong and durable while being ultra-resistant to corrosion. There's a notch in the handle that exposes the right-handed manual thumbstud opening for the blade. That notch makes identifying and manipulating that thumbstud an easy task, even in the dark. With just one flick, the 3.25” D2 tool steel blade is revealed, and held in place by the titanium frame lock. The D2 steel provides excellent edge retention, and the drop-point design makes for a good all-around cutting tool for your daily tasks. When work is complete, you can close the blade up and make the Summit disappear into your pockets thanks to its stainless steel deep-carry pocket clip. If you're looking for a no-nonsense knife that gives you the performance and premium materials you demand for everyday carry without all of the fuss, look no further than the Summit Knife. It's available in two different colorways: black with a silver-finished blade, and a more discreet gunmetal design that blacks out the blade and the pocket clip. And with a two year guarantee, you can rest assured that the Summit can reliably handle what you throw at it. 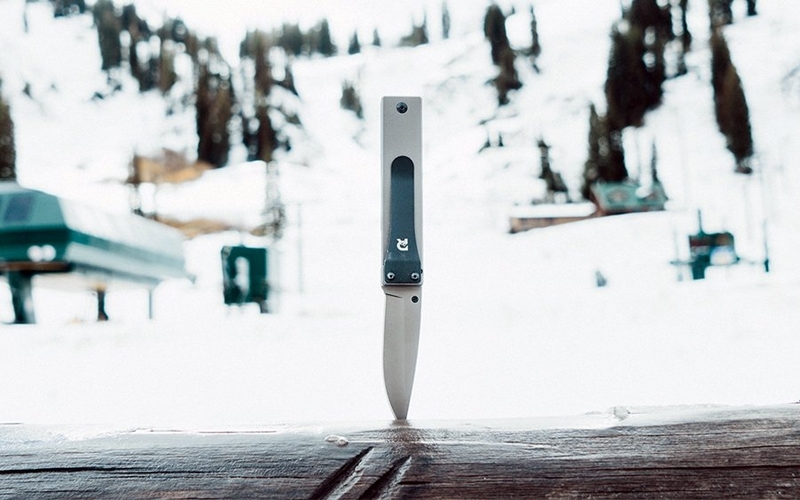 For a limited time only, you can also save 10% off on the Summit Knife by purchasing it at the link below and using code EDC10 at checkout. From flashlights to pocket knives to smartphones, aluminum has become the material of choice for the gear we carry. It's light, strong, comfortable, and affordable — all things you'd want in your EDC. And these days, you'll find aluminum on minimalist wallets like the Ridge to keep things slim, sturdy, and lightweight. One of the many other benefits of aluminum gear is just how many more colors it can come in to give your EDC its signature look. With the addition of OD green, desert tan, rose gold, and celeste blue to their lineup, Ridge offers even more wallet styles to make your carry stand out. 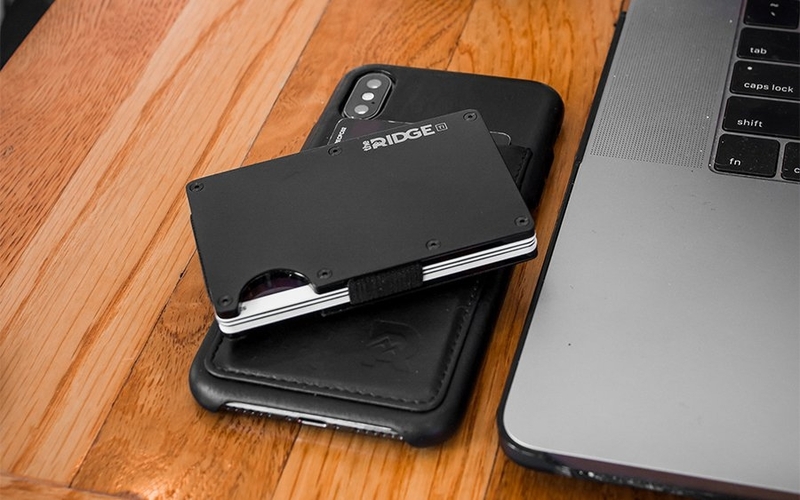 In case you aren't familiar with Ridge wallets, they're constructed from two aluminum plates bound by a durable elastic and stainless steel screws. The aluminum plates create structure, block RFID signals, make it easier to slide in and out of a pocket, and give your cards some heavy duty protection. Meanwhile, the elastic ensures a custom fit, minimizing bulk if you carry fewer cards while being able to expand to accommodate up to 12 cards without stretching out. 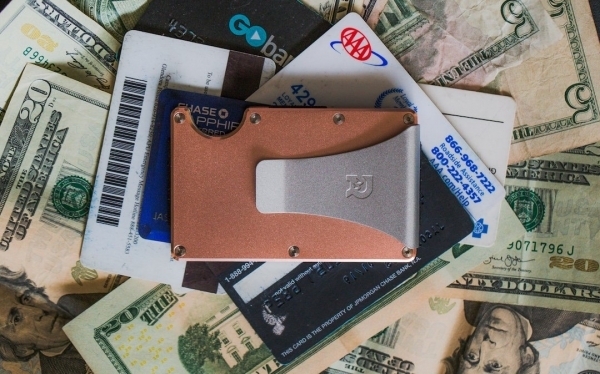 These new wallets leverage 6061-T6 aluminum to weigh in at just 2 ounces. The OD green, desert tan, and celeste blue colors feature a ceramic coating for a rich, matte finish. The rose gold version is hard anodized aluminum, resulting in a durable speckled finish for that extra bling appeal. You can check out the new colors and configure them to best fit your EDC at the link below. Be sure to check out how our tips on how to choose the right cash-carrying configuation for your next Ridge wallet, as well as our color-coded carry round-up for ideas on gear to match. Whether you're traveling on an adventure or to work on your next commute, keeping your stuff safe and organized is always important. 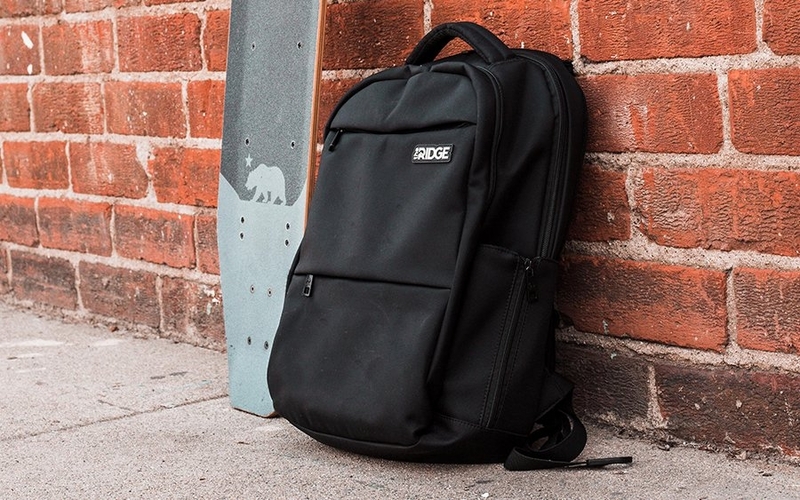 The Commuter Backpack by Ridge is their take on the perfect everyday backpack that does just that. 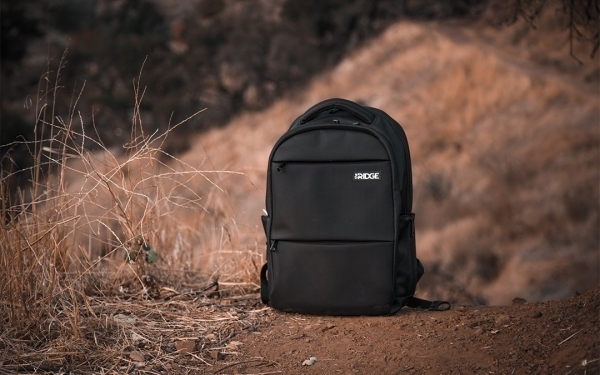 It's sleek and streamlined on the outside, but it's packed with travel-ready features and organization pockets that make it an ideal companion for your next trip. The shock-resistant laptop compartment, RFID blocking hidden pocket, and integrated battery pack / charger make it easy to keep your laptop and wallet safe, and your phone and tablet charged up. Inside the bag, you'll find plenty of organization to keep your gear easy to access and safely stored. There's a shock-resistant laptop compartment that accommodates up to a 15” laptop located closest to the back panel of the bag. You can carry your computer with confidence, knowing that it's safely stored inside and close to your body. The internal hidden pocket is an ideal place for stashing away your wallet and passport, thanks to the RFID blocking material surrounding it. There are few things worse than a dead battery when out and about, so Ridge has built an external USB charging port into their bag so you can easily charge up on the go with a power bank (as an add-on accessory). There are some other basic organization pockets for small accessories, and two expandable water bottle pockets that are less bulky when zipped shut. Your gear inside is protected from the elements, thanks to the water-resistant nylon shell and heavy-duty zippers. Carrying options on the Commuter include two padded shoulder straps with sternum support, and a luggage strap so you can carry both the bag and your suitcase easily. The bag is available in a 15” “Commuter” and a slightly larger and wider 17” “Weekender” size. You can pick one up now via the link below. A bulky wallet isn’t just an eye-sore, it’s also a pain to carry around. 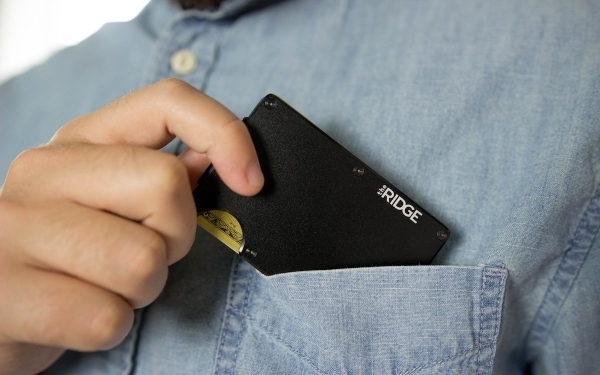 Minimalist wallets like the Ridge are becoming more and more popular with EDCers, but with so many to choose from, picking the right one can be intimidating. You can't go wrong with any of the slim wallets from Ridge, but it's good to know the benefits of each of their offerings so you can make the right choice. Whether you're after toughness, light weight, or even better ways to carry your cash, there's a wallet setup for you. 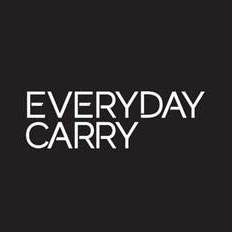 For many EDCers, the best place to start towards a more streamlined carry is something they already carry: their wallet. And when it comes to minimalist EDC wallets, a massively popular option is the Ridge wallet. It's a slim, RFID-blocking wallet constructed of two metal plates bound by durable elastic, making it stronger and less bulky than a plain old leather bifold. But one of the most underrated qualities of the Ridge is how many colors and materials it comes in and how the wallet can visually tie an EDC together. In this round-up, we're showcasing some excellent examples of color-coordinated carries based around this staple EDC wallet. Update: Congratulations to Christopher S., winner of this week's giveaway! Thanks to everyone who participated. Stay tuned for more chances to win a Ridge Wallet in future giveaways. If you haven't made the switch to a minimalist wallet yet, now's the perfect time. 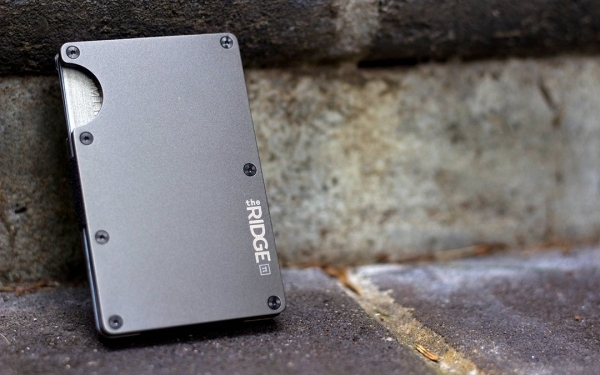 Our friends at Ridge are hooking it up with their Ridge Wallet Titanium in this week's giveaway! Titanium's one of the most versatile and sought-after materials in EDC tools, thanks to its strength-to-weight ratio and classy sheen. The Ridge Wallet combines modular titanium plates with an elastic strap for a sleek, minimalist package. 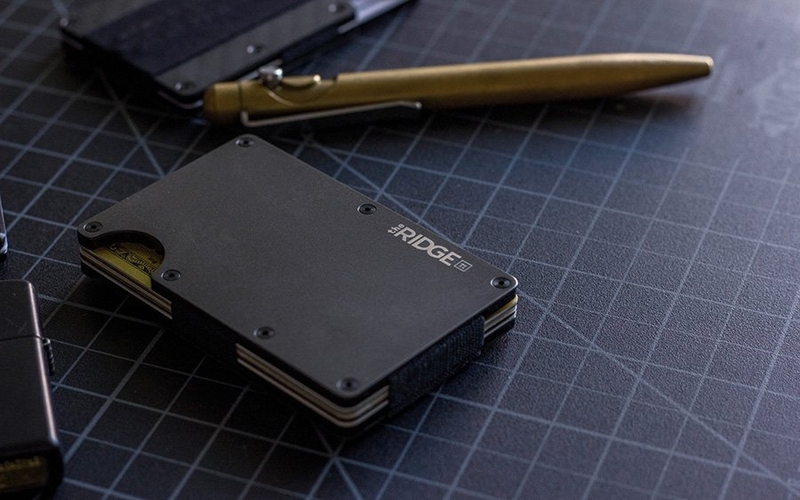 One lucky winner will receive a Ridge Wallet Titanium, brought to you by our sponsor, Ridge. Your EDC should help you stay ready for anything, but that’s hard to do if you've got a bulky wallet taking up valuable pocket space. That’s why so many are turning to slimmer cardholder wallets to make room for other useful gear, but even those aren't always as convenient as they claim to be. Thankfully there’s the Titanium Ridge Wallet which has a build tough enough for EDC while offering some extra security for your cards. All in a body as thin as a few credit cards. Like all great cardholder wallets the Ridge Wallet is super thin measuring in at only 6mm. To get this slim, materials and construction are key. Two pieces of thin titanium—sought after by EDCers for its impressive strength to weight ratio and unique handfeel—are held together by T5 stainless steel screws and elastic bands. This modular plate construction makes it easy to expand should you need to carry more than a few cards (it can hold up to 12 at max capacity). A finger notch along makes it easy to push out the cards inside, giving you easy access to the one you want without forcing you to take them all out of the wallet. Besides being tough enough to run over with a car, the wallet also comes with two aluminum RFID-blocking plates built in to protect your cards against wireless theft. Of course the purpose of a good wallet is to hold currency, not only plastic cards. Which is why the Ridge Wallet also comes with two ways to carry cash. One is an elastic cash strap that not only maintains the thin profile of the wallet, but also has rubber gripping along the inside to prevent your cash from slipping out. If that’s not your style you can always opt for the money clip variation that keeps your hard-earned cash pinned securely against the wallet until you need it. Whether you’re looking to slim down your wallet so you can carry more stuff or want an upgrade that protects you from modern ne'er-do-wells, the Ridge Wallet has you covered. This version's lightweight titanium construction that EDCers love is just the cherry on top. Make sure to click the link below to add this wallet to your pocket. This is a sponsored post presented by The Ridge. When it comes to EDC gear, we’re always looking for the perfect balance between durability, functionality, and weight. This is especially true about your wallet which is probably one of the most important items in any carry. But even slim wallets can sometimes be too heavy if they’re durable, or too flimsy if they’re light. But why should you have to choose? 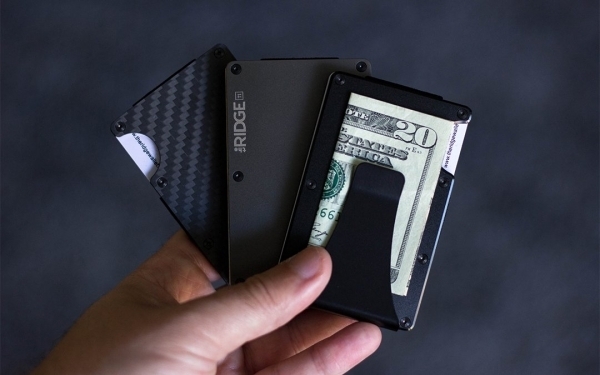 The Ridge Wallet CF is a simple solution to bulky pockets that solves these issues in one fell swoop. It has just the right amount of functionality and a lightweight yet durable carbon fiber build that’s as easy on the eyes as it is on your pockets. There’s a reason plenty of racing bikes are made from carbon fiber: it’s strong, lightweight, and easy to work with which makes it the kind of versatile material that’s perfect for EDC. 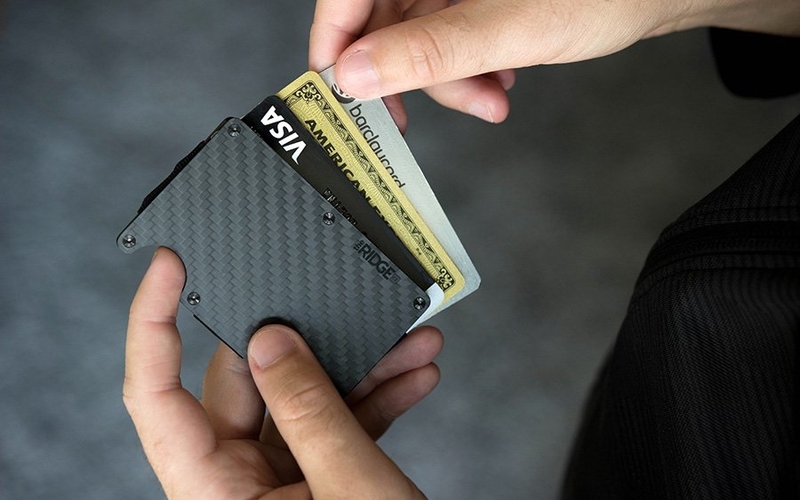 The Ridge Wallet CF is composed of two slim plates of carbon fiber that can hold up to 12 cards sandwiched between them. Then there’s the elastic bands that connect them. These bands expand depending on the number of cards you carry, keeping everything firmly in place whether you’re carrying one card or twelve. Throw in some RFID blocking for good measure and you get a wallet that’s both adaptable and secure in a package that weighs only 1.6 ounces. To get to a card just push them all out via the finger slot for easy pickings, and when you’re done just slide them all right back into place. As great as cards are it’s always a good idea to have a bit of cash in your pockets. That’s why the Ridge comes with either a built-in money clip or cash strap along the back so you can easily carry a few folded bills just in case. Between the lightweight carbon fiber build and the slim design the Ridge Wallet CF makes a pretty strong case for minimal card-carrying wallets. If you’ve been trying to slim down your carry and like what the carbon fiber Ridge has to offer, make sure to snag one via the link below. This is a sponsored post presented by Ridge Wallet. Update: Congratulations to Kevin D., winner of this week's giveaway! Thanks to everyone who participated. Stay tuned for more chances to win a Ridge Wallet in future giveaways. If you haven't made the switch to a minimalist wallet yet, now's the perfect time. 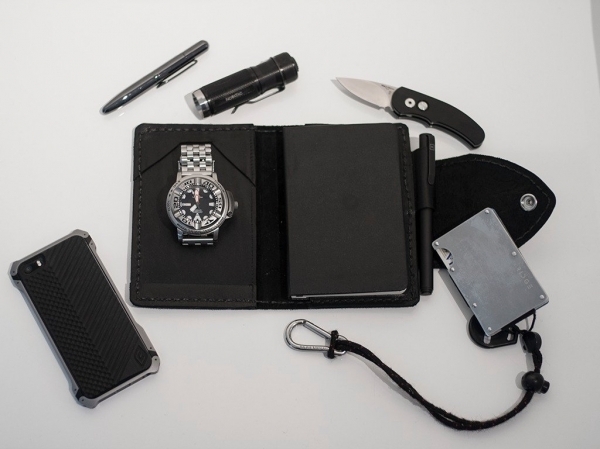 Our friends at Ridge are hooking it up with their Black Aluminum Ridge Wallet in this week's giveaway! Aluminum is a great choice of material on an EDC wallet for a lot of the same reasons it's used on the rest of your tools: it's lightweight, durable, waterproof, easy to slip in and out of your pocket, and even blocks RFID skimmers to boot. The Ridge Wallet combines sturdy anodized aluminum plates for structure with replaceable elastic tracks for expandability into a sleek package. One lucky winner will receive a blacked out Ridge Wallet with their choice of cash strap or money clip, brought to you by our sponsor, Ridge. A great way to optimize your EDC and trim excess from your pockets usually begins with a hard look at your wallet. You might be used to a wallet that lets you carry it all, including hanging on to old receipts and unnecessary items. But really, your wallet should carry only the essentials. A slimmer, more compact wallet like the Ridge Wallet not only keeps your carry lighter, but it also helps keep it that way thanks to its minimalist design. The Ridge Wallet is a lesson in minimalism. Two pieces of slim metal bound together with tough elastic bands means that it not only looks sleek, but it’s also durable enough to withstand everyday wear and tear. You can carry up to 12 cards with ease and its metal plates also provide RFID protection for added security. A perfectly placed finger notch lets you fan out the cards inside for quick access to the one you need, then when the transaction is complete just slide it back in place and you’re good to go. Thin, card-focused wallets are great for keeping your pockets slim, but cash is still king. For all you cash carriers, the Ridge also comes with a built-in money clip (or cash strap depending on your preference) perfect for stashing a few folded bills. It'll come in handy when you inevitably hit up your favorite cash-only spot. Whether you’re tired of lugging around a bulky bi-fold or looking for a secure and durable wallet, the Ridge Wallet has you covered. It comes in multiple colors and materials including aluminum, carbon fiber, and titanium. Chances are you’ll be able to find the one that fits your carry perfectly. To free up some valuable pocket space without sacrificing the essentials click the link below to pick one up for yourself. : Small, easy to pop into the pocket, much better built than the standard Space pens and a little wider to grip The coating stands up very well. Novatac NT120E Flashlight: Can’t say this one will remain in my gear. While it’s been reliable, turning on in the pocket is a real issue. Otherwise, I like the feel in my hand and it’s bright as bright can be. Protec Runt California Legal Auto: Really an amazing little knife. Super reliable, legal to carry and easy to open with one hand as an auto. Just enough for daily chores but not sufficient for serious outdoorsman-ship. Citizen Autozilla on Super Engineer 22mm Stainless bracelet: This watch is a beast, but even on my 6.5” wrist it’s quite comfortable. The bracelet was a whim but has turned out to completely make this watch. Thick, perfect fit and a good balance for the large diameter of the bezel. 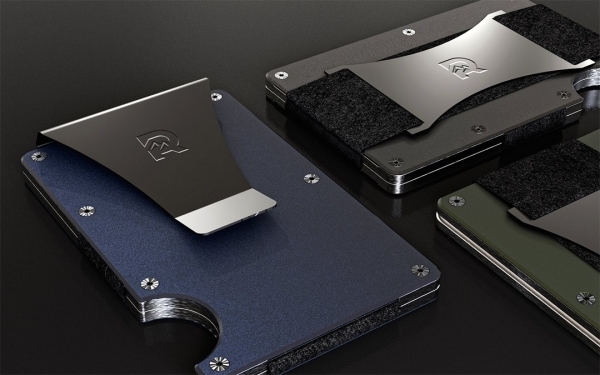 Ridge Titanium Wallet: I destroy wallets, but not this one. They’ve come out with a new design that I think will also be quite good. Custom Leather Notebook carrier with Moleskine: I’ve forgotten who made this for me, but I can attest to the usefulness of a good, thick notebook cover. While it makes pocket carry harder (though still possible) it’s saved my sketchbooks from the usual bad fate. Bonus, pen holder! Pen: Solid titanium pen by bigidesign dot com: A kickstarter impulse purchase, this one has turned out to be quite solid and trustworthy. Not to mention, there are many “defense” pens out on the market, but what I like here is - you could easily use it for such a thing but without anyone saying “Hey, nice defense pen” or getting it pulled by TSA. iPhone 5s with Elementcase Gungrip back: Element case makes some killer cases for the iPhone, but what I like the most is that they don’t kill reception like so many do and there’s such a great range of options.